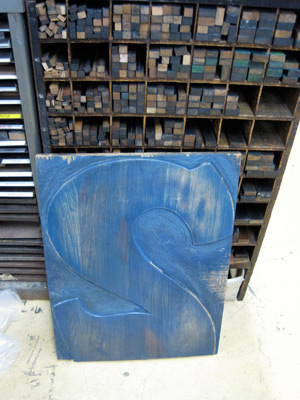 This limited edition print uses a 2 foot high vintage wood type number 2 (Yellow) along with a smaller vintage hand-cut two (Magenta) and a still quite large, but smaller wood type P (Cyan). 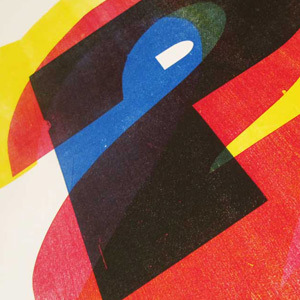 Hand inked and printed on a 22 x 28 showcard press, this print edition is inspired by Pop Art and the pure yet flawed texture of woodtype. The uncoated paper takes the ink in varying capacity with the lighter colors printed on top of the darker to maximize color blending. 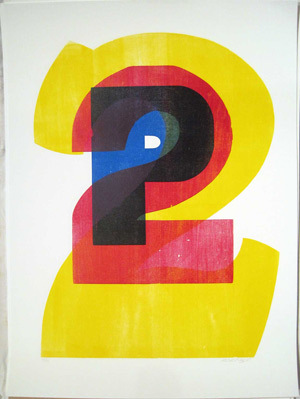 This print is the third in the series of letterpress P22 poster prints.